The Federal Bureau of Investigation (FBI) is the U.S. government’s main law-enforcement and domestic intelligence agency. Its writ has steadily expanded in recent decades, particularly its role as a counterterrorism force after the Sept. 11, 2001, attacks. The Justice Department’s top strategic goal is to “prevent terrorism,” which is reflected in how the FBI allocates resources among its nearly thirty-five thousand employees; in 2015 the agency had more than twelve thousand employees [PDF] working on counterterrorism and counterintelligence, as well as nearly seven thousand working on intelligence. But the agency still covers a wide range of national security matters, as well as organized crime, white-collar crime, public corruption, and civil-rights violations. Without a legislative charter, the FBI’s mandate has grown over the past century as has federal law. Its priorities and policies are shaped by piecemeal legislation, executive branch directives, and the prerogatives of its own leadership, which have led to charges of overstepping its bounds. President Theodore Roosevelt established the Bureau of Justice, as the FBI was first known, in 1908 to bring police powers into the Justice Department. He used executive fiat because of both public and congressional resistance, including concerns that a national police force would enable federal overreach. Fears of domestic terrorism ran high at the time. President William McKinley was assassinated by an anarchist in 1901. Russia’s Bolshevik Revolution in 1917 and a series of anarchist bombings in the United States in 1919 heightened the sense of alarm. At that time, a twenty-four-year-old J. Edgar Hoover led a dragnet in which thousands of alleged radicals were detained nationwide; ordered by A. Mitchell Palmer, attorney general under President Woodrow Wilson, these became known as the Palmer Raids. Many immigrants and labor activists were swept up in the raids and hundreds were deported. What were the agency’s early priorities? The agency’s early focus included investigating organized crime and kidnappings and assisting local law-enforcement agencies with what was then the novel science of forensics. But with the rise of Stalin in the Soviet Union and fascist governments in Germany, Italy, and Spain, the FBI began to focus on foreign espionage and political foment within the United States, particularly as President Franklin D. Roosevelt began mobilizing the country for entry into World War II. The agency, by then directed by Hoover, went after Nazi and Soviet spies as well as alleged fascist and communist sympathizers he called “subversives.” Within that broad category, the FBI pursued many American leftists and liberals, including civil rights, antiwar, and labor activists. This political focus intensified even before the end of World War II, as the U.S.-Soviet rivalry crystallized and the Soviet Union went after U.S. military secrets, including the atomic bomb. While the House Un-American Activities Committee sought to root out Americans suspected of Soviet ties, getting many people professionally blacklisted, the FBI carried out parallel efforts. Hoover amassed vast dossiers on many prominent Americans and in some cases used that information for blackmail, including with civil rights leader Martin Luther King Jr. The FBI’s Cold War expansion was reversed in the 1970s, beginning with public revelations that the agency, collaborating with the CIA and military intelligence agencies, had surveilled and infiltrated U.S. political organizations in the counterintelligence program the agency referred to as COINTELPRO. That was followed shortly by Hoover’s death and the Watergate scandal, in which President Richard M. Nixon was revealed to have used the FBI to monitor his political opponents. The events of the 1970s moved Congress to overhaul U.S. intelligence services by launching ad hoc investigations, known as the Church Committee in the Senate and the Pike Committee in the House, which led to the establishment of permanent intelligence committees to oversee these agencies. (The House and Senate Judiciary Committees have jurisdiction over the FBI in its law-enforcement capacities.) The FBI’s domestic intelligence division was disbanded and the Justice Department issued the first version of the Attorney General’s Investigative Guidelines in 1976 to impose limits on some FBI activities. Congress passed the Foreign Intelligence Surveillance Act (FISA) two years later to limit federal surveillance conducted within U.S. borders. The FBI belongs to the executive branch, and the president ultimately sets policy directions for it. After the Church and Pike Committees, Presidents Gerald Ford and Jimmy Carter issued executive orders setting boundaries on the scope of the FBI’s activities, and reiterated that domestic investigations were the purview of the FBI, while the CIA was limited to conducting operations beyond U.S. borders. Legislation passed in 1968 and amended in 1976 specifies that the president has the power to name an FBI director, subject to Senate approval, to a ten-year, nonrenewable term. Made in the shadow of both Hoover’s forty-eight-year reign and the Watergate scandal, the term limit was intended to place limits on both the director and the president. When did the agency expand its counterterrorism role? The FBI began paying greater attention to terrorism after a spate of attacks in the 1970s and 80s, including the bombings of the U.S. embassy and Marines barracks in Beirut. Congress permitted the agency in 1986 to investigate terrorist attacks abroad when Americans were among the victims, and later empowered it to make arrests overseas. During the 1990s, Director Louis Freeh increased the FBI’s presence in U.S. embassies, where agents are known as legal attachés, and he pressed for their coordination with CIA stations. He also established the counterterrorism division and emphasized that the FBI’s role was not just to investigate attacks after the fact, but preempt them. Still, counterterrorism remained far from the core work of most agents, the congressionally mandated 9/11 Commission noted in its report, and Freeh’s emphasis on counterterrorism didn’t translate into significant institutional change. Field offices were largely autonomous, and most focused on the traditional work of law enforcement. The New York field office was an exception; alongside federal prosecutors in the Southern District of New York, it investigated al-Qaida’s bombings of the World Trade Center in 1993, the U.S. embassies in Nairobi and Dar es Salaam in 1998, and the U.S. destroyer USS Cole in Yemen in 2000. How did the FBI change after 9/11? The 9/11 Commission, along with many other observers, concluded that Osama bin Laden’s attacks might have been prevented if there had been greater cooperation between and within agencies. The events set in motion a rapid expansion and reorientation of intelligence agencies as well as a culture shift within them. Acting on the 9/11 Commission’s recommendations, Congress and President George W. Bush placed the sixteen agencies that make up the U.S. Intelligence Community, including the FBI, CIA, National Security Agency, and various military agencies, under the umbrella of a newly created Office of the Director of National Intelligence, which has subsidiary bodies to encourage cross-agency information sharing on such matters as counterterrorism and counterintelligence. 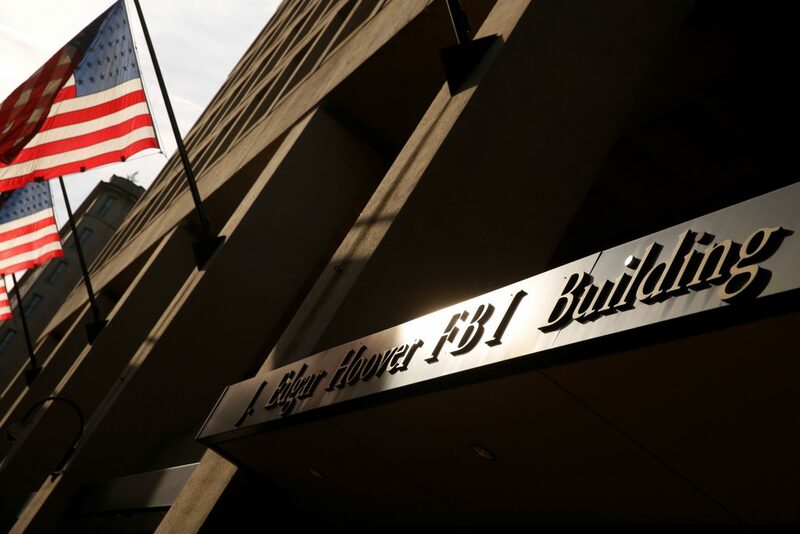 The FBI staff has grown by more than 10,000 since 2001, with particular growth among linguists and intelligence analysts, and has ramped up its overseas presence. A national security branch was established in 2005 to centralize the FBI’s work on counterterrorism, counterintelligence, weapons of mass destruction, and intelligence gathering. Joint Terrorism Task Forces (JTTFs), in which FBI agents work alongside state and local law enforcement, expanded from just twenty-five in 2001 to more than one hundred in 2017. Each of the FBI’s fifty-six field offices got a SWAT team with combat-style weapons and equipment. A review panel [PDF] assessed in 2015 that the FBI had made strides to implement the recommendations of the 9/11 Commission that “undoubtedly contributed to protecting the Homeland against another catastrophic terrorist attack,” but that its intelligence capacities “lag behind marked advances in law-enforcement capabilities.” The review found that FBI informants did not “provide actionable intelligence” for any of five terrorist plots after 2008 that it studied. Why has it spurred civil liberties complaints? One consequence of the FBI’s bureaucratic independence is that it has faced traditionally little oversight, experts say, and it has been dogged by charges of overreach since its inception. Challenges to cases built by the FBI have long broken ground in jurisprudence on police powers. A forerunner of the American Civil Liberties Union accused the Justice Department of running afoul of the Constitution and the law with such methods as unreasonable searches and seizures and the use of agents provocateur in the Palmer Raids of the First Red Scare. Other landmark cases have dealt with such questions as the admissibility of wiretapped conversations as evidence. Legal wrangling over some of these contested methods continues with the FBI’s post-9/11 counterterrorism operations. In guidelines issued by Attorney General Michael Mukasey in the final months of the Bush administration, the FBI gained broader latitude to initiate investigations on the basis of preventing terrorist attacks or protecting national security. The guidelines, which remained in effect through the Obama administration, are “the closest to returning it to the pre-guidelines era, when FBI agents and managers had broad discretion to use their powers against anyone they chose,” says Michael German, an FBI veteran and a fellow at the Brennan Center for Justice. The FBI stresses that internal safeguards are in place to limit the scope of its investigations. “One of the limiting factors is its size,” says German, noting that, with less than thirteen thousand agents across the country and around the world, the FBI cannot “become an all-seeing and all-knowing national police.” But its increased use of JTTFs and so-called Fusion Centers, in which state and local agencies benefit from Justice Department funds and FBI resources, has been a sort of force multiplier, says German. The FBI is “deputizing a lot of state and local and other federal law-enforcement agencies,” he says, and the operations are sometimes governed by more permissive policies. What is the FBI’s role in investigating the U.S. election? While the FBI’s counterterrorism mission has focused on preventing threats to the United States from nonstate actors, the agency also remains charged with conducting domestic operations against other countries’ spy services. In that capacity, the FBI came to investigate allegations of foreign interference in the 2016 presidential election. U.S. intelligence agencies attributed leaks of Democratic Party officials’ hacked emails to Russia. They said in a public report[PDF] that under President Vladimir Putin, Russia sought to “undermine public faith in the U.S. democratic process” and “harm [Hillary Clinton’s] electability and potential presidency.” Other reports point to Russian attempts to infiltrate voter databases or elections software in many states, though there is no evidence that the vote itself was compromised and Russia has denied any such tampering. As the investigation has broadened, several of President Trump’s associates were revealed to have had possibly improper contacts, and in some cases financial dealings, with Russian officials. This has led to calls for an independent investigation into whether the Trump campaign colluded with Russia, a charge Trump and his top aides have vehemently denied. The Justice Department appointed Robert Mueller, Comey’s predecessor at the FBI, as special counsel. The Trump administration said the president fired Comey because his mishandling of an investigation of Clinton during the election called his judgment and leadership into question. In testimony to Congress, Comey offered a different account, saying he was dismissed after he refused Trump’s request that he pledge loyalty to the president and close an investigation into Michael Flynn, who served as national security advisor briefly before investigators warned the White House he might be susceptible to Russian blackmail. While the FBI director’s dismissal would ordinarily be the president’s prerogative, some legal experts warned that the move might amount to obstruction of justice if Trump was trying to quash the counterintelligence investigation. This backgrounder first appeared on June 21 on the Council on Foreign Relations’ website. Zachary Laub is senior copy editor/writer at the Council on Foreign Relations.